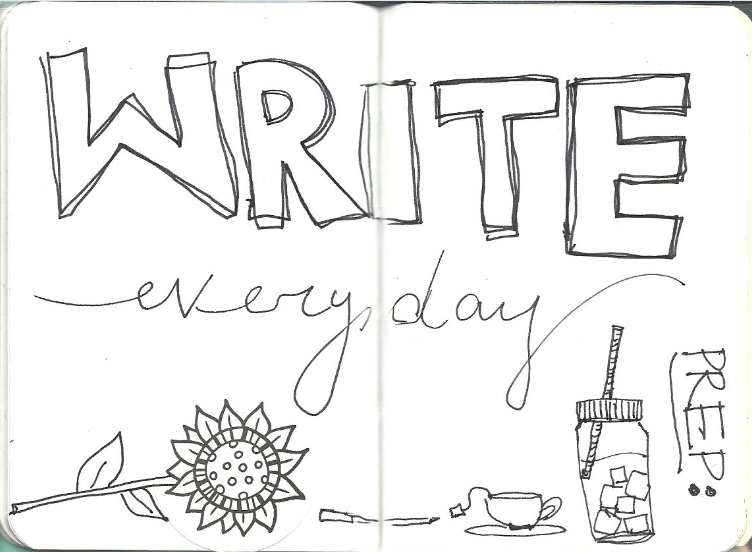 If I set aside time everyday to write I feel whole. Writing time calls for prep time this means good smells from fresh flowers, a great pen, Hot tea for sipping and ice water. When the weather is beautiful as it so often is in Phoenix, I sit outside on my back porch and write. It is a delicious life. This amazing list of Woody Guthrie’s from the 1940’s brings such a smile. It is at once delicious and profound and thoughtful and tragic. 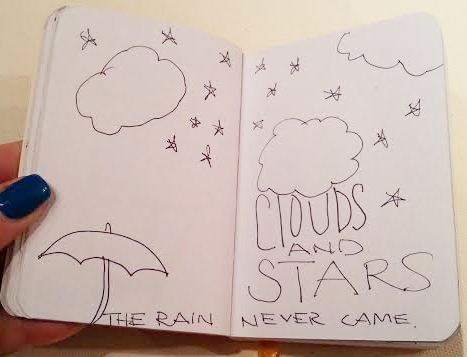 What a beautiful tale in both words, hopes and tiny doodles. 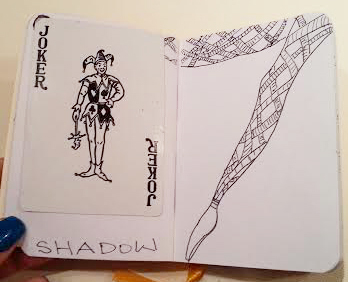 I think it would be such a good idea to create drawn journal pages that are resolutions or goals for the coming year. Hmmmm . . . . stay tuned for that. Cyber Monday is just a few days away! That doesn’t mean you have to wait, you can shop online now with one of our favorite local stores. 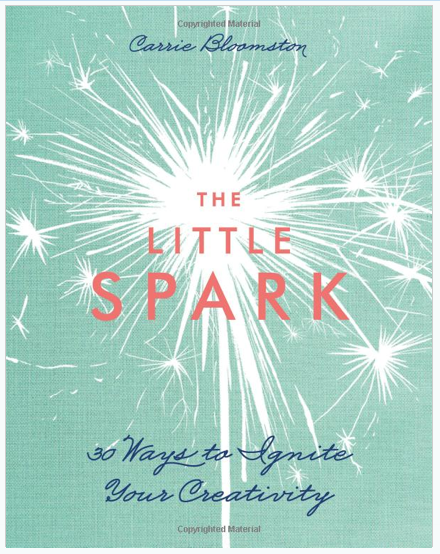 Visit Changing Hands Bookstore online and purchase The Little Spark By Carrie Bloomston. This is a great gift for artists, art lovers, girl friends who get together, self help fans and lovers of all things local! 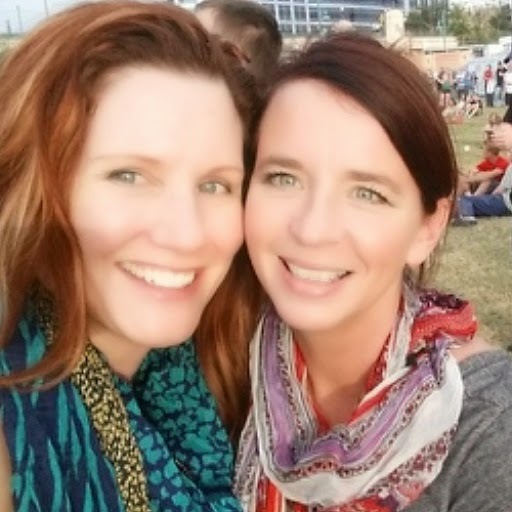 I love a music festival and it’s even better when it’s in my town so I don’t have to travel. 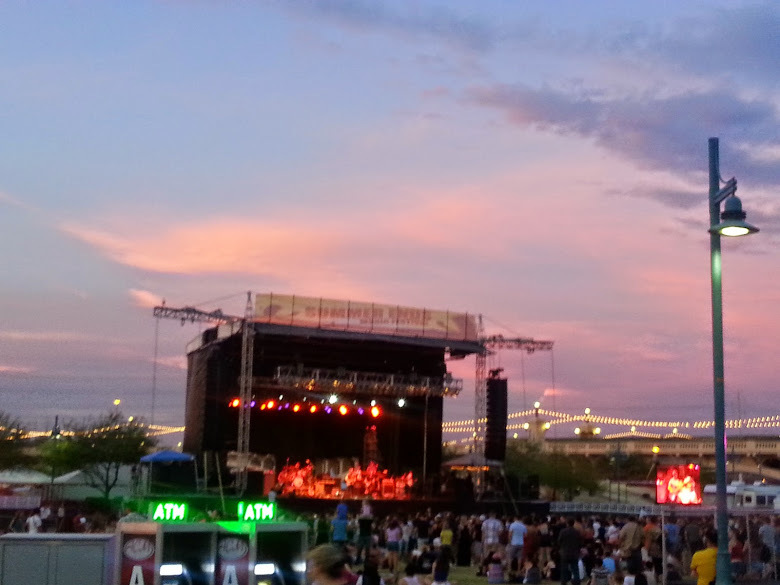 This past weekend was the Summer Ends Music Festival at Tempe Beach Park. Two of the days got rained out and had to be moved inside the Marquee Theatre so I only have a few photos but the music was great, the company was the best and the inspiration was plentiful. 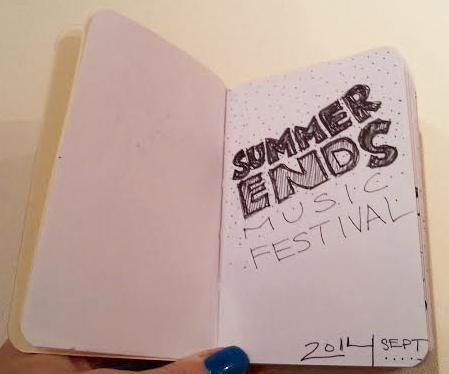 I spent much of the weekend so inspired by the music that I drew and drew and drew in my little travel notebook.